Hello everyone! As we reach the end of this series, if you want to start at the beginning comes here at the end of each entry is a link to the following order to the whole series in order. Today we present the pressure probes are modern substitutes for switches high, low and condensation which are still used, but are not as accurate as the probes. High probe: The probe is a high-security element, its function is to control the maximum pressure in the high part of the circuit, that is, if the refrigerant pressure becomes too high the probe stops the compressor. The probes are automatic reset high, they are regulated to stop the arrival pressure machine and to rearm at the time the pressure is acceptable to restart. Here’s an example: We have regulated the probe to stand at 25 BAR and have determined a margin of 5 BAR. The pressure in the discharge circuit is rising too (there are several reasons why this can happen), at the time when the pressure reaches 25 BAR probe stops the compressor, then the pressure starts to drop. The machine will stop until the pressure drops to the point we have covered the differential pressure (20 BAR). 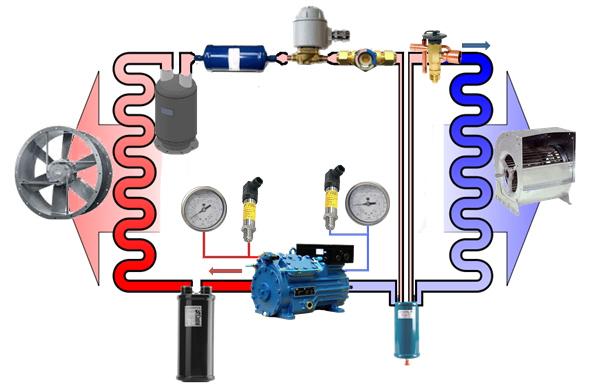 The same probe also controls high condensing pressure, the system is the same but instead of controlling the compressor running unemployed or does the condenser fan. 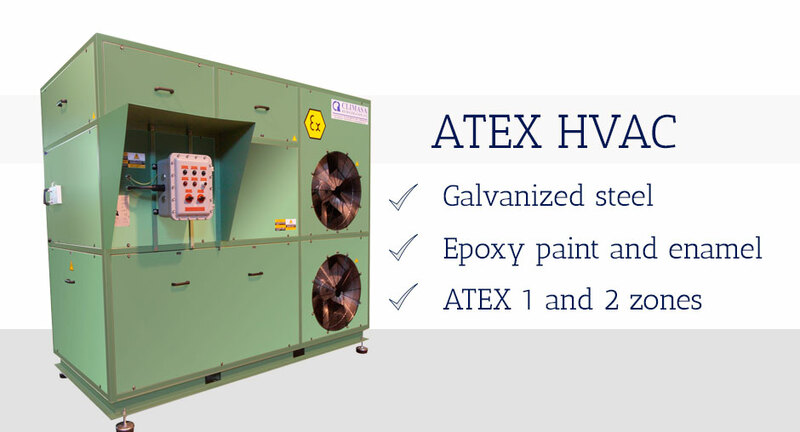 Is regulated to a predetermined pressure to the fan, then the low pressure when it reaches the desired pressure again stops the fan is activated. High pressure and must be maintained within a desired range. Probe floor: The philosophy is the same as in the case of the probe high, but in this case instead of preventing the pressure rise too, warns that the pressure drop too low in the suction side of the circuit, that situation warns of a possible leak in the system. It is also used to stop the machine and collect gas once it reaches the set temperature (after the thermostat). Finally we lack a pressure gauge system include high and low pressure gauge to check the pressure in each area in real time. So we have our complete circuit. 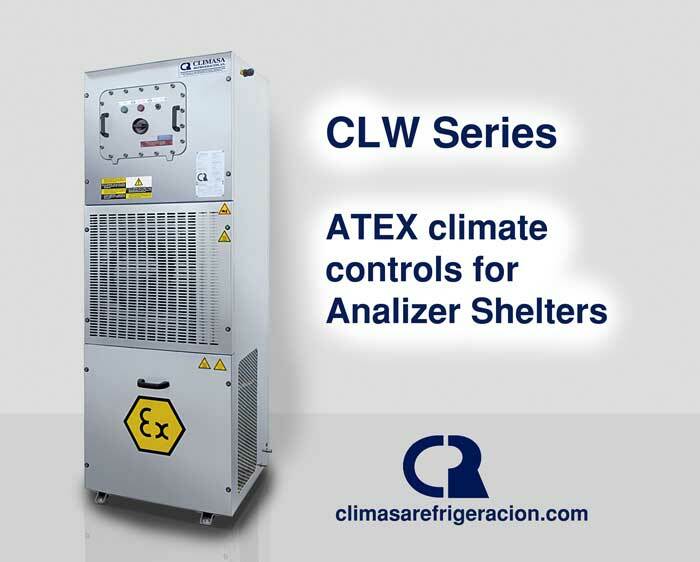 We hope you enjoyed the mini tutorial, and you’ve learned something new, remember that it is only an introduction, and a way to learn more about Climasa Refrigeracion. Any questions you have not hesitate to ask it either in the comments, e-mail, social or direct message from the Contact section.